Indiana freshman forward Jake Forrester has entered his name in the NCAA transfer portal, The Herald-Times has confirmed. Forrester appeared in only 13 games for the Hoosiers this past season, scoring 27 total points and grabbing 17 total rebounds. By placing his name in the NCAA transfer portal, the Pennsylvania native can explore his transfer options at other schools and still opt to return to IU for his sophomore season. If he were to leave, Forrester would be the first player recruited by Archie Miller to transfer out of Indiana. Sophomore Clifton Moore, who was originally recruited by former coach Tom Crean, announced last week that he intends to transfer at the conclusion of the spring semester. Forrester, who committed to IU in September 2017 over offers from Virginia Tech, Seton Hall, Pitt and Xavier, among others, was viewed as a developmental player whose impact might be felt most during his junior and senior seasons. “Jake is a live wire,” Miller said before the season. “He really is. He is a live wire. He as energetic, as vocal, as high-strung of a guy as I’ve had come into college in a while. He provides instant energy. He provides instant energy, he provides instant talk. He can be the life of the room, and in practice just more so than anything, you really need life in practice, which I love. With that motor, he’s also a guy that’s not afraid. He’s going to challenge you on both ends of the floor, whether he’s trying to dunk on you or whether he tries to block your shot, which is another great attribute to have. Yet, even with IU’s health issues and thin frontcourt depth this past season, Forrester couldn’t consistently crack the playing rotation. He logged only 27 minutes during Big Ten season, including a season-high nine in IU’s Feb. 2 victory at Michigan State. Miller has been courting frontcourt depth since the end of IU’s three-game run in the NIT, and hosted Butler graduate transfer Joey Brunk on a visit earlier this week. Should Forrester follow through on a transfer, IU would have two open scholarships for next season. This is a bit surprising to me. It suggests Forrester may have information about the front court players Archie is trying to recruit and that he has decided to keep his options open should he find, after the new guys are signed, that he remains at the bottom of the depth chart. I mean, if what the article states is true, and he was brought in as a “developmental player,” he should have known that. And if so, how disappointed can he be unless he feels the newest recruits will prevent him from climbing up that depth chart and getting more minutes next season? Not necessarily because it’s Forrester; it is good there is some change regarding IU basketball. Change is not always good just for the sake of change. However, in IU basketball regarding roster it is good and any and all changes are welcome. Qualifier; except for RP, DG, and DD. Good move for both Forrester and IU. He is probably more of a mid-level talent and should find a better situation for himself. IU needs to get more ready-to-play recruits and far less development projects. I would think Anderson transfers too. I would hope Archie gets some high quality transfers and still lands a top-tier recruit. I wouldn’t be surprised if Smith opts to transfer depending on what players Archie brings in. Smith simply does not play consistently on offense and is lost on defense. Of course, it is highly likely that he ends up transferring, but it should be noted that entering the transfer portal doesn’t mean he has to do it. He still has the option to stay at IU. But yeah, looks like he’s probably gone. Didn’t really get much of a solid look at him, but his inability to find some minutes with all the injuries this year doesn’t bode well for who is coming in, as well as who is returning. Don Fischer alluded to some issues in the locker room with some guys who didn’t really get what playing for the name on the front on their jerseys meant. I’m not saying Jake was the problem (or Clifton), but regardless, I think it is good that there’s a little more room to bring in some transfers, or uncommitted guys, who fit our needs a little better. Another forward who can’t shoot isn’t going to help us get over the hump next year. Either way, Jake, good luck with your future wherever you may land. Is it also good news that Hunter may be healthier than we (I ) thought at end of year. There were questions whether he could rehab from his surgery; Is it also possible RL doesn’t go to NBA this year? These things tend to find their balance. For all the squeamishness about transfers, at the end of the day, they find their level. If he stays…fine. If he goes…he probably was in over his head to begin with. Not the first guy recruited to wear the candy stripes in recent years who wasn’t up to the game. 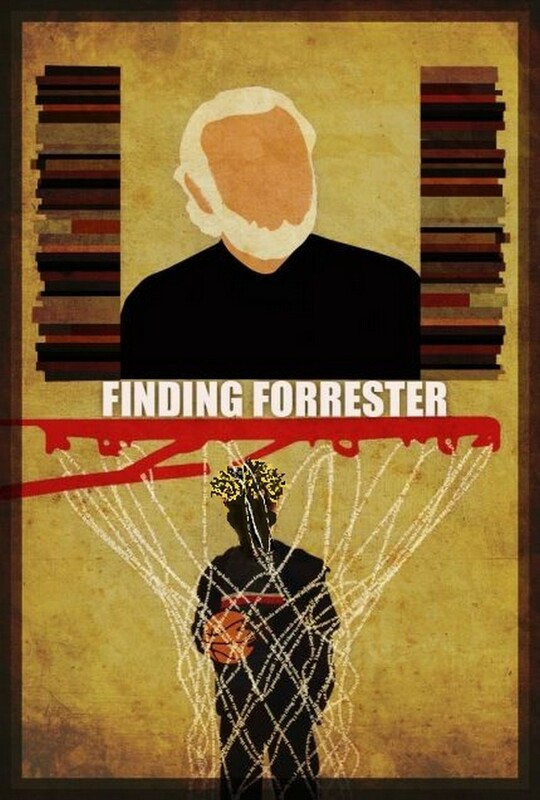 Maybe he’s having trouble seeing the Forrester for the trees….? Plenty of evidence some teams can use him. So players can enter college portal search. That player should never see the floor again at IU. This isn’t like exploring professional draft. Rather it is looking at other college options and if nothing happens that player think is better looking I will keep my date and go to the dance with IU basketball. Players think about leaving and do leave teams but entering portal is like a stopped up toilet before flushing it. Like you, I have strong concerns about what is occurring in college athletics regarding the ability to seemingly transfer at will. I can’t help but wonder what the unintended consequences will be as this plays out over the coming years. My greatest fear is that this may end college athletics as we know it, and not in a good way. A proactive move to not pay players. Very good move. I’m afraid it is just a matter of time before college players will be paid. Too many things going on which are driving us toward that end. Worst thing I see at this point is things are very out of balance, and I’m not sure where the correct balance point may be. How do you balance what is fair for all parties involved when the rules are being rewritten almost on a daily basis? Good Analogy T ….Perhaps the writing on the wall for both Moore and Forrester is the fact that Race Thompson saw the floor before them after he got thru the concussion…which they rightfully interpret, he will see more time next year which would cut even deeper into their time..and the recruits coming in. AM comments about this player describes = Head Case negative. Unfocused freshmen rather than work and putting in time plus being a college student to get good enough instead wanting instant gratification. Big thing is this opens up potentially 3 slots assuming Romeo leaves for the nba. Depending upon what CAM can do with these openings, it could be a much different looking roster next year. A bit late in the recruiting game, but there is still some serious talent out there. 3 well placed recruits could go a long way to radically changing the IUBB fortunes for the better. If Romeo should unexpectedly decide to stay another year, then 2 recruits who have the ability to help open up the floor for him would work well too. Agree or 2020 class if AM can’t get what he thinks he’s needs. In other words AM don’t replace what you really didn’t need with another what AM doesn’t really need. I just don’t like the description of this process as a transfer ‘portal’ …..Sort of sounds like time travel to me. Maybe someday….? Maybe someday we portal Isiah Thomas to leave Bobby and transfer to some future Hoosier team? This would be slightly different than t’s stopped up toilet metaphor for the portal process. Hoosiers could now be plunged back and forth through time in our very own candy stripe Portal Potty. ….Not to be confused with an actual McCracken time machine, the Portal Potty reveals merely a crack in time. The transfer time portal is triggered by the activation of a Skjodt tissue dispenser…? In search of more trees while going through deForresteration ….? Timmmmmpriller! You’re on a roll H4H! You’re on a roll!! NCAA May put the breaks on graduate transfer program. Vote on rule change in the next month. A graduate transfer who does not get his Master’s, team will forfeit a scholarship the next rear. Bet the next action may concern kids transferring. Something like 40% of kids transfer by their Sophomore year. One way to fix college basketball and football on men’s side is turn tv off, turn off all media and don’t attend any games. That’s right; shut it down. Damn man,, that’s strong. I’m thinking 3 more games than what do I do with all those extra hours. Warm air, garden, tent and m/cycle, but will wait with anticipation for – Next Year. Haha. Yes, and then we get into our sports drug induced coma for another season of football briefly forgetting basketball. Then, basketball forgetting football. Cycle repeats itself from year to year with a shot of baseball and other sports for a stimulant. Where is the threshold?